Gold Medal Gunslingers - Shoot to Kill at the Olympic Games? Gold Medal Gunslingers - Shoot to Kill at the Olympic Games? 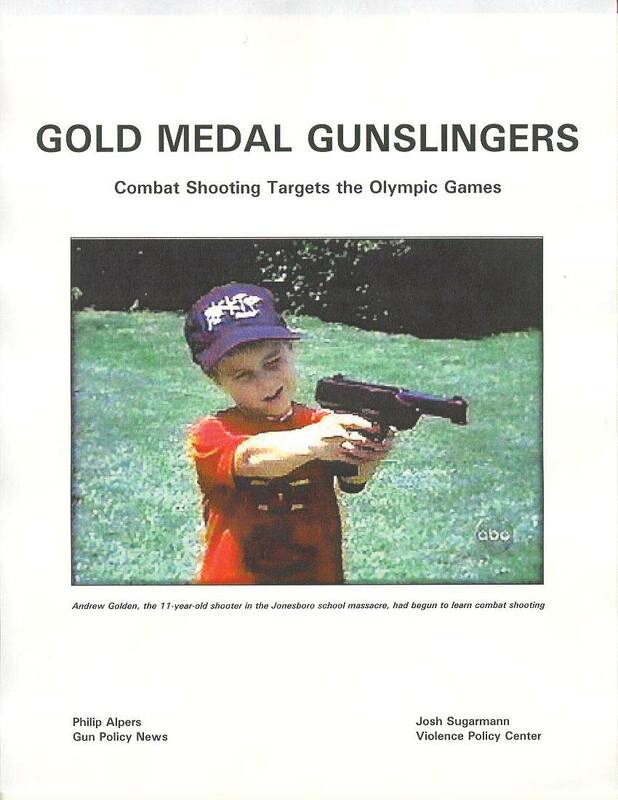 pdf Gold Medal Gunslingers - Shoot to Kill at the Olympic Games? By Philip Alpers and Josh Sugarmann. Violence Policy Center, Washington DC. Combat shooting is a rehearsal for urban warfare, and a violent distortion of traditional target shooting. Competitions are built around fantasy scenarios, with humanoid "bad guy" targets to be shot and similar "hostage" targets to be avoided. The Olympic movement is dedicated to non-violence, yet combat shooters seek acceptance for a 'shoot-to-kill' Olympic event.